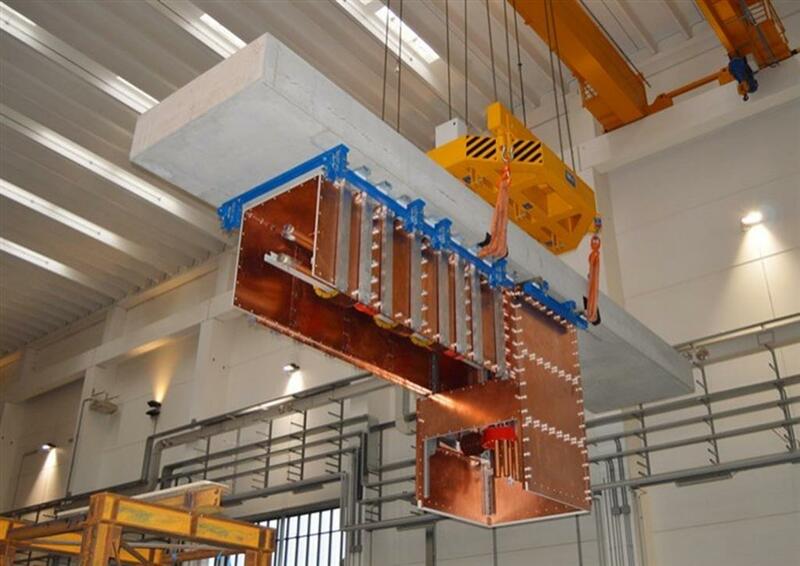 This I MV insulating transformer supplied by Japan is part of the high-voltage power supply system for MITICA, the full-scale ITER neutral beam injector. 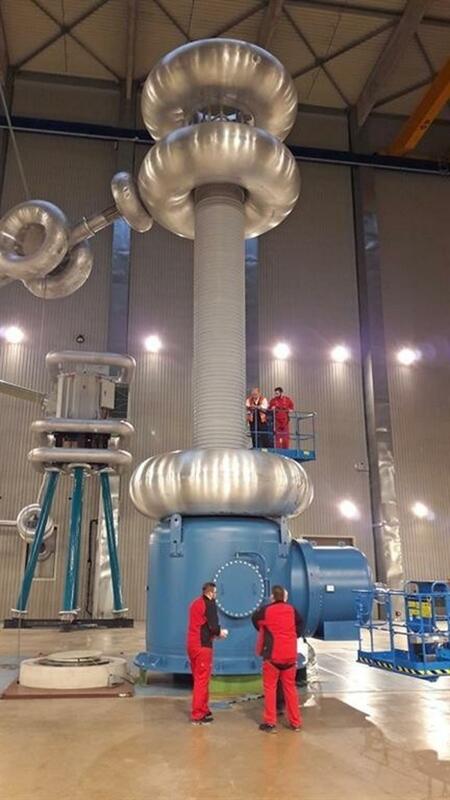 Acceptance tests on the power supply system will be finalized when this transformer is connected to the high voltage deck on the inside of the building. In Padua, technicians are installing the STRIKE diagnostic, which will characterize the uniformity and divergence of the SPIDER beam. 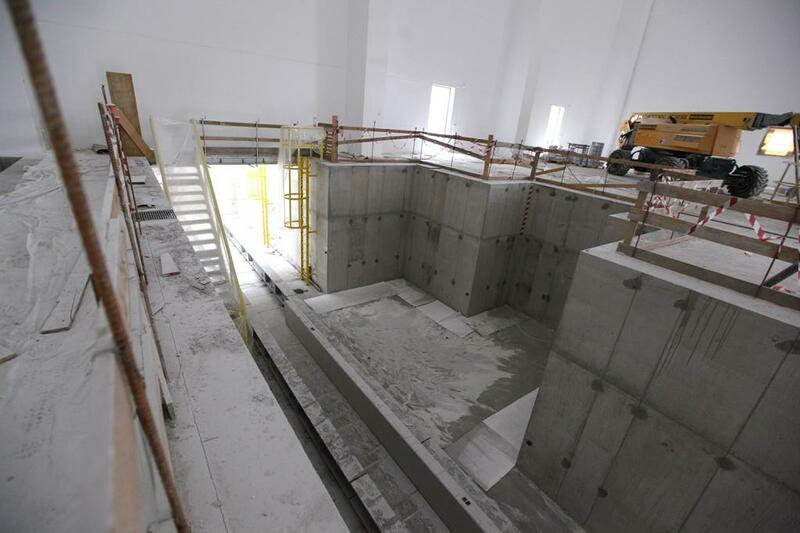 Directly behind it, on the other side of the open vessel, is the actively cooled beam dump. The SPIDER vessel was opened for the installation of the STRIKE diagnostic. 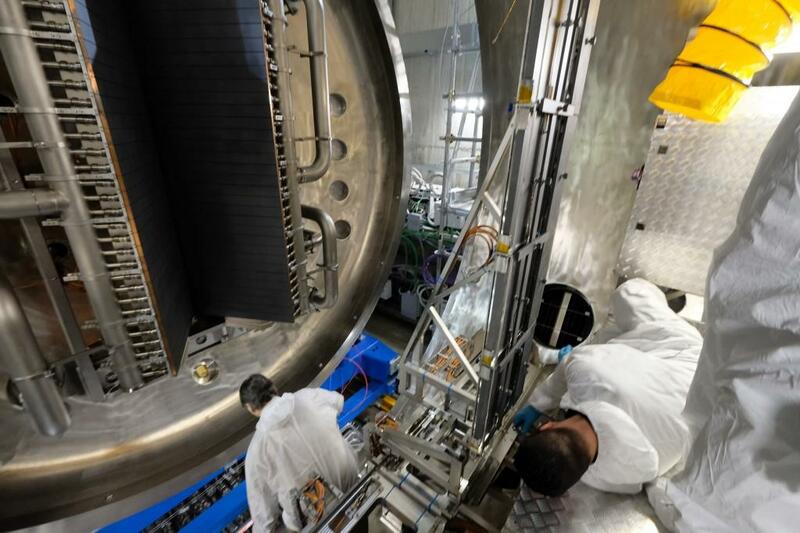 Plasma was generated for the first time in the beam source in June 2018 during the inauguration of the test bed. The carbon-fibre panels of STRIKE stand directly in the line of the SPIDER ion beam. The power deposited on the front side of the tiles will be propagated in form of heat to the rear side, where a set of infrared cameras will detect and analyze the thermal pattern in order to reconstruct beam properties. 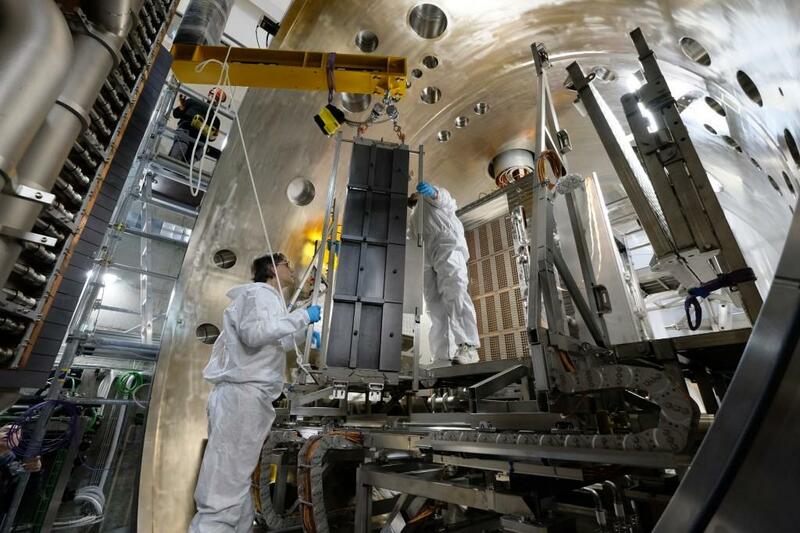 Last-phase assembly activities are underway on the STRIKE calorimeter at the ITER Neutral Beam Test Facility. STRIKE is designed to measure the SPIDER beam's uniformity and divergence. Sixteen carbon fibre composite tiles are being mounted on the structure of the STRIKE diagnostic. These tiles will face the brunt of the SPIDER negative ion beam ... for short periods of time. 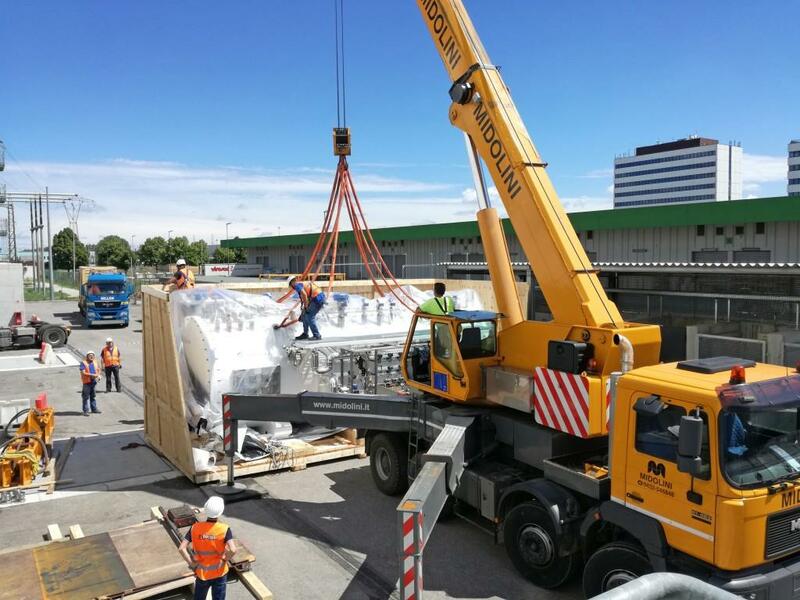 Equipment arrives for the MITICA power sources, delivered by the European Domestic Agency. Centre: the power supply for MITICA's residual ion dump (manufactured by OCEM ET, Italy); at left, the conversion system for the acceleration grid power supply (manufactured by Nidec ASI, Italy). 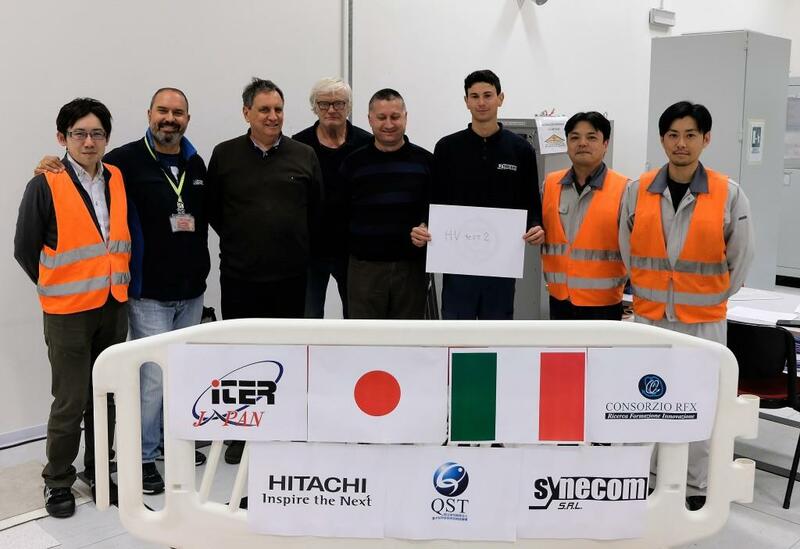 Factory acceptance tests are underway on components of the MITICA high-voltage power supply procured and delivered by the Domestic Agencies of Europe and Japan. The plasma generated by the SPIDER ion source expands out through a series of grids. A potential difference between the different grids provides the extraction of the negative charges from the neutral plasma and subsequent acceleration. Pictured: the back side of the acceleration grid. The SPIDER beam source has been fitted out with a Faraday cage. This metallic grid reduces the probability of arch discharge effects induced by the radio frequency (RF) circuit, while allowing the visual inspection of the RF drivers. 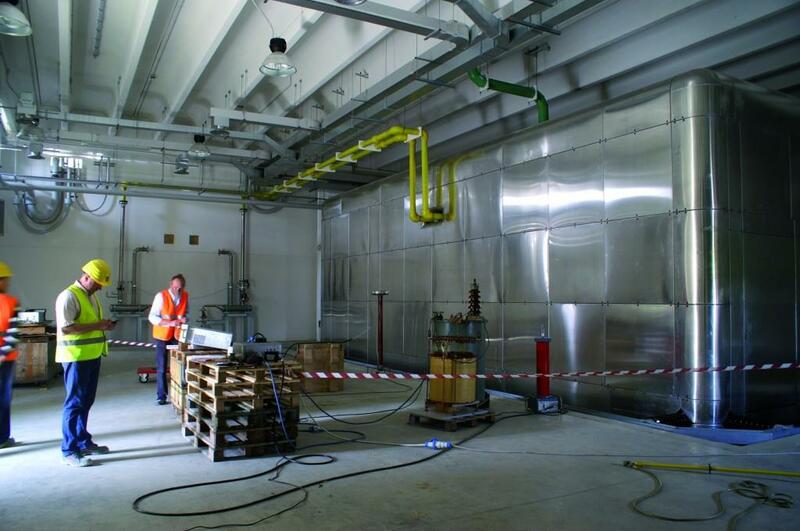 Inside the Faraday cage, which has been installed at the rear of the ion source. 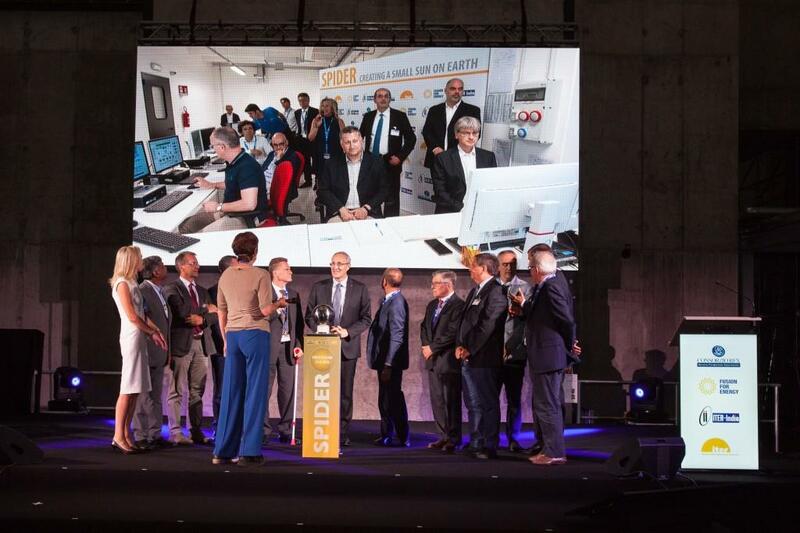 The negative ion source SPIDER is officially launched at the Consorzio RFX facility in Padua, Italy, in the early afternoon of 11 June 2018. 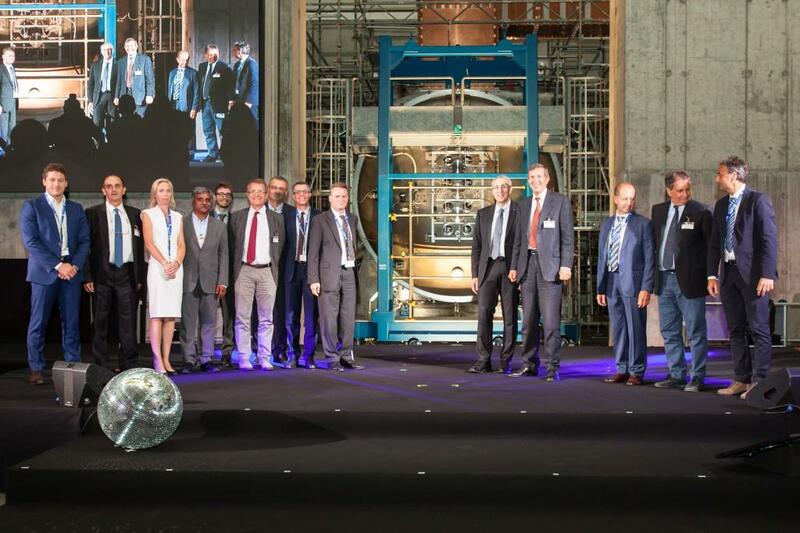 Plasma is generated in the beam source for the first time during the ceremony in the presence of all stakeholders. 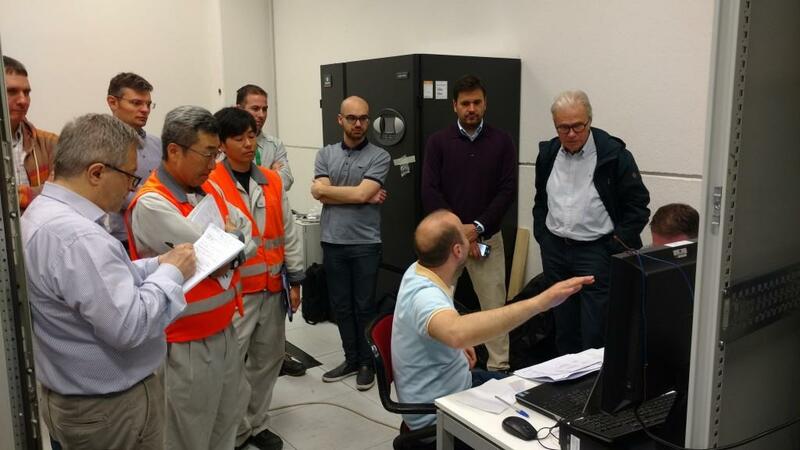 The conversion system for MITICA's acceleration grid power supply completed site acceptance testing this year with excellent results. 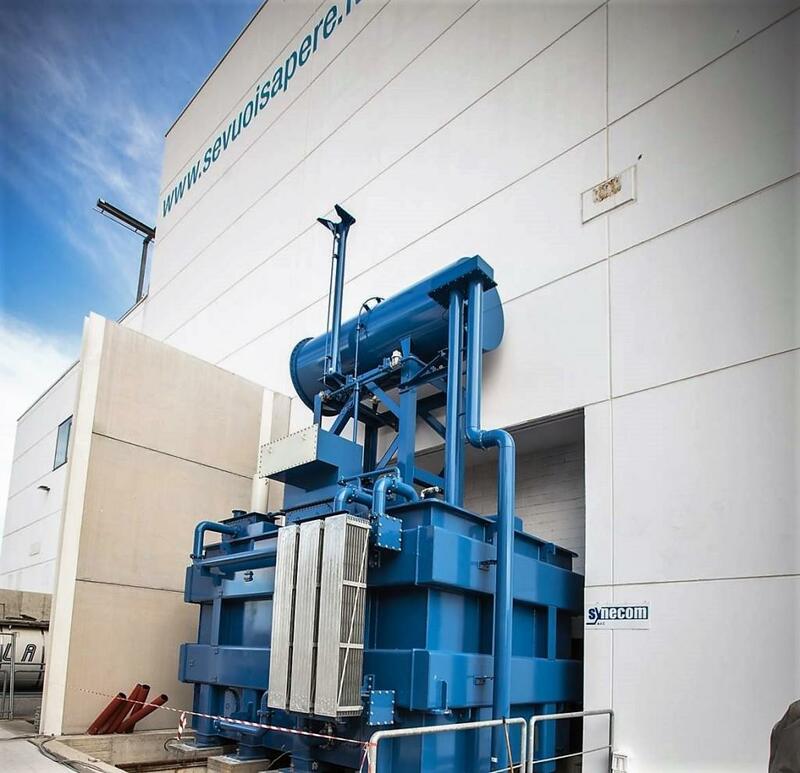 The equipment, manufactured by the Italian firm Nidec ASI, will convert AC power from the grid to the DC power required for the acceleration of the ion beam. 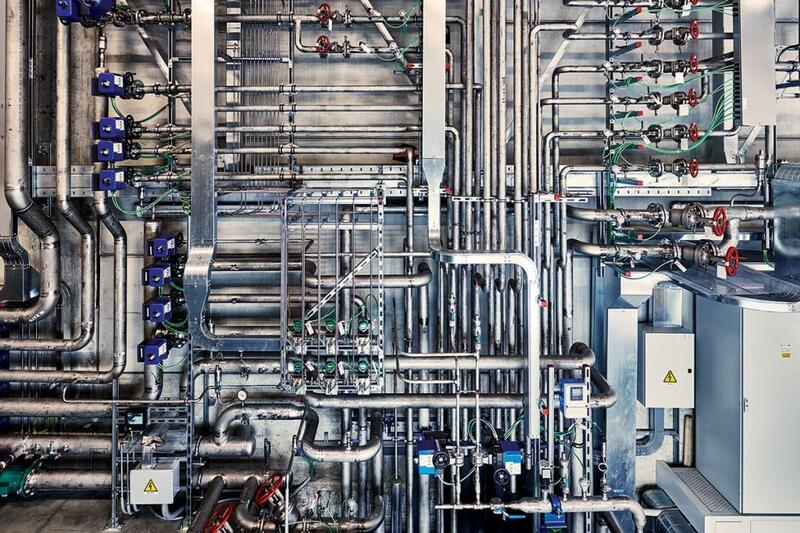 The SPIDER beam source—a technological marvel and the world's most powerful negative ion source. 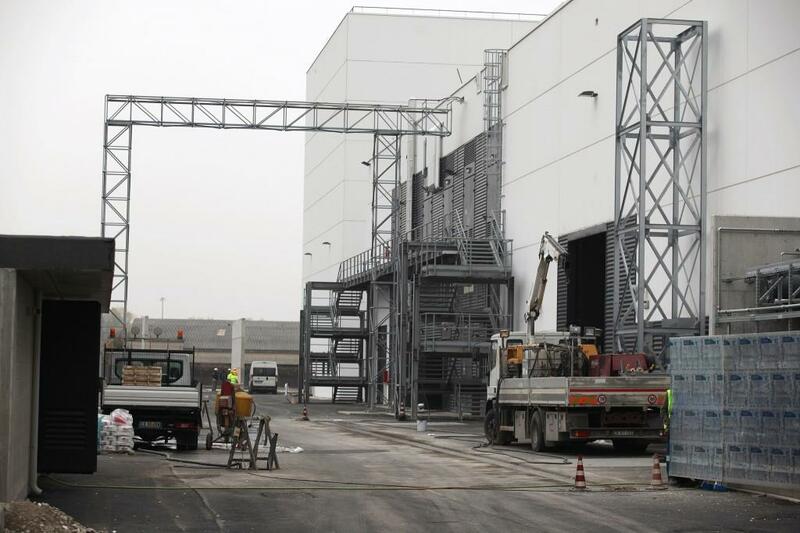 A European consortium consisting of Thales (France), CECOM Srl (Italy), Galvano-T GmbH (Germany) and E.Zanon SpA (Italy) has been responsible for the manufacturing of the equipment for the European Domestic Agency. Only auxiliary connections remain to be finalized. 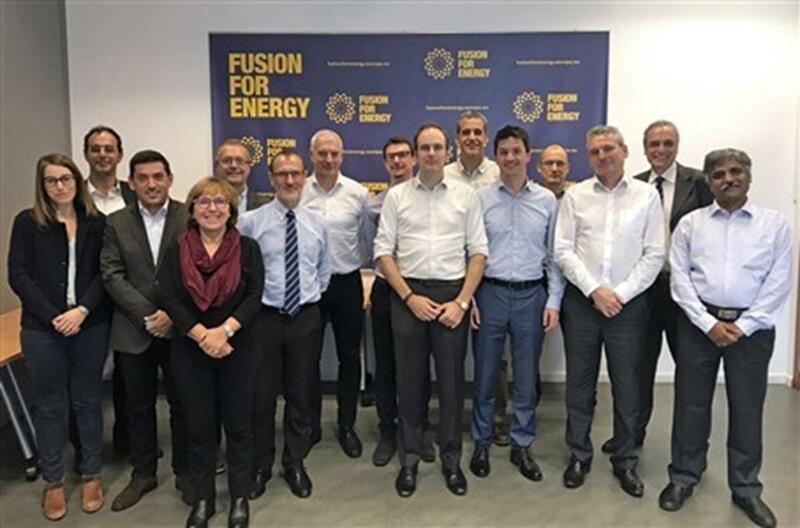 Once that is done the ITER Organization, the European Domestic Agency, and Consorzio RFX can begin integrated commissioning activities. 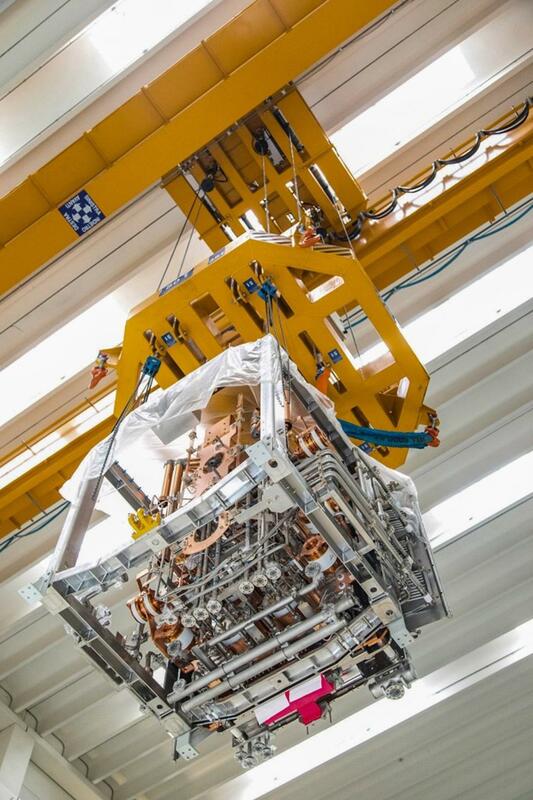 A dedicated handling tool is used to transfer the beam source onto its bed support structure in the vacuum chamber. 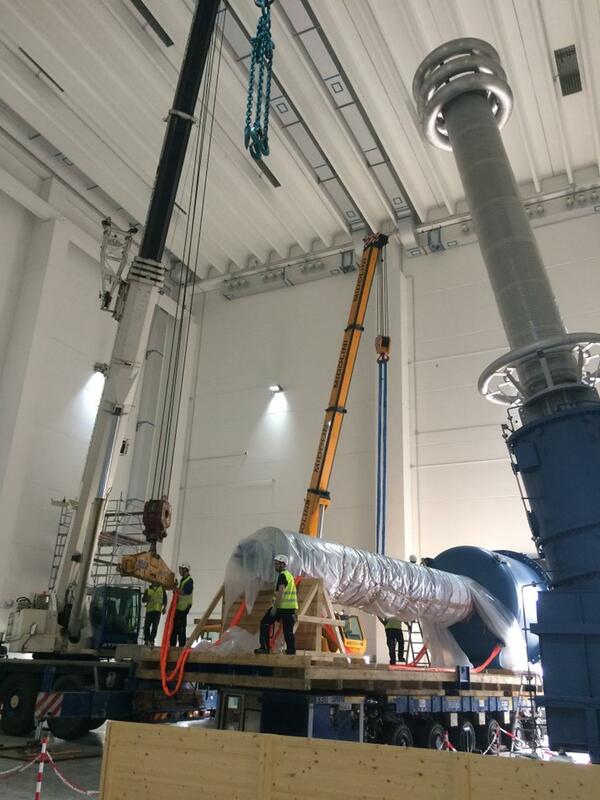 The five-tonne SPIDER beam source is transferred from the clean room—where it had been stored and tested—to its handling tool using the Neutral Beam Test Facility's 50-tonne crane. 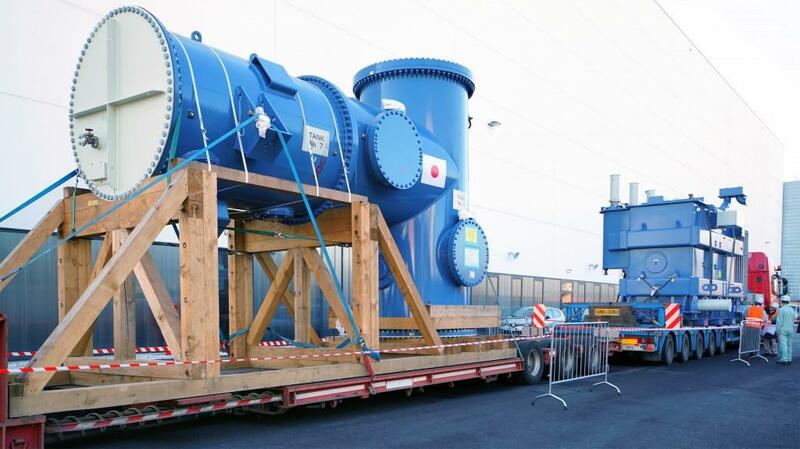 A section of the SPIDER beam source vacuum vessel arriving at the ITER Neutral Beam Test Facility. 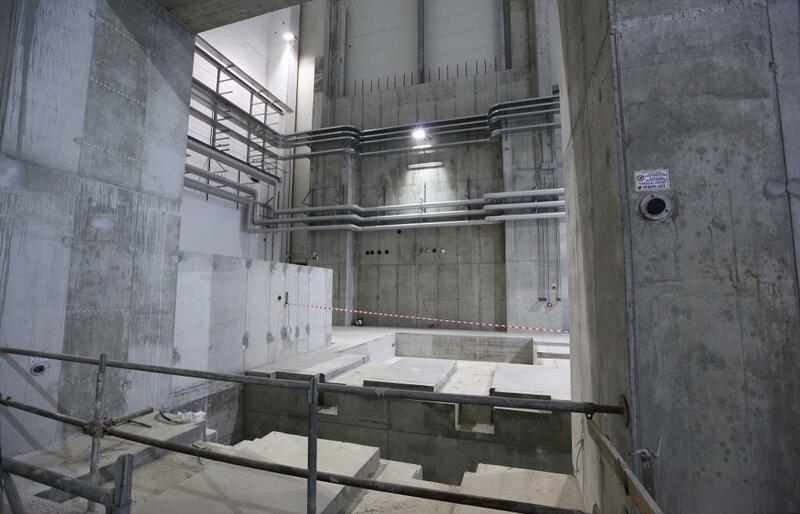 The Japanese Domestic Agency delivers its final contribution to the Neutral Beam Test Facility in November 2017. 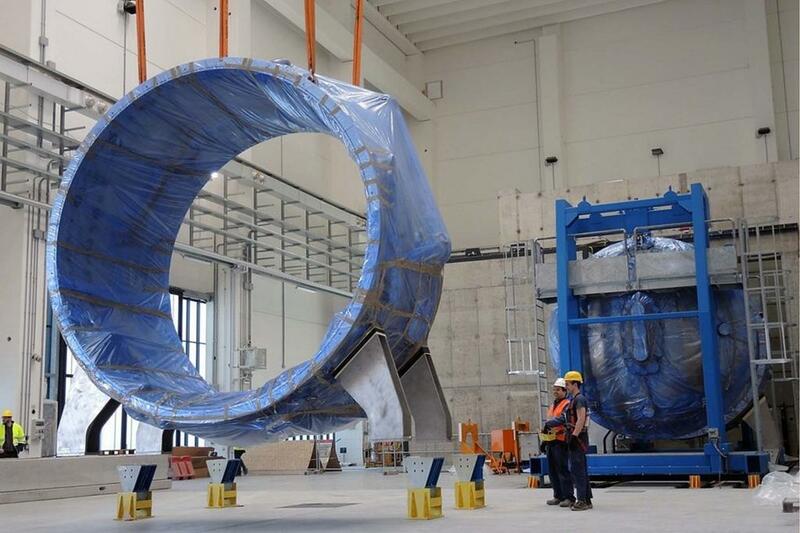 Over two years, Japan has delivered high-voltage components for the 1 MV power supply system of MITICA, including the megavolt bushing (pictured), the megavolt transmission line and the high voltage part of the megavolt power supply. A cherry tree gifted by Japan is planted at the test facility site in Padua. It will blossom about the time of facility start-up in spring 2018. The acceleration grid power supply for MITICA is composed of a conversion system that feeds step-up transformers and diode rectifiers. 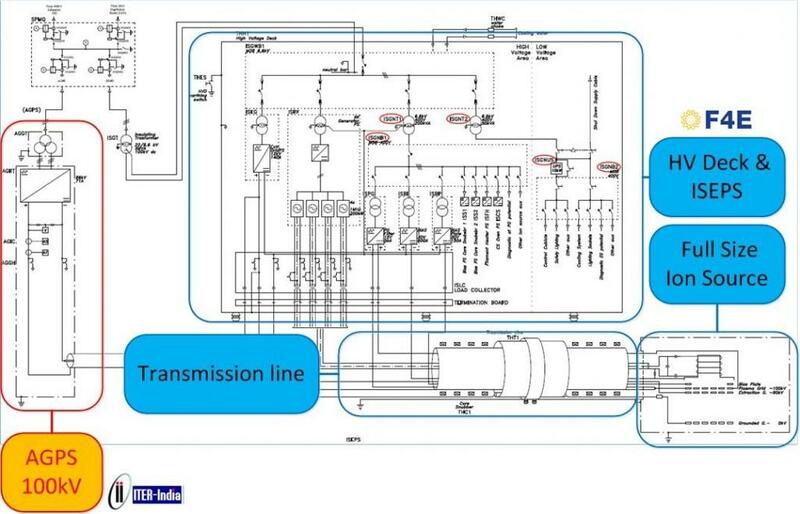 A 1 MV transmission line then connects the power supplies to the injector. For MITICA to function, high voltages must be maintained over pulses of 3600 seconds. 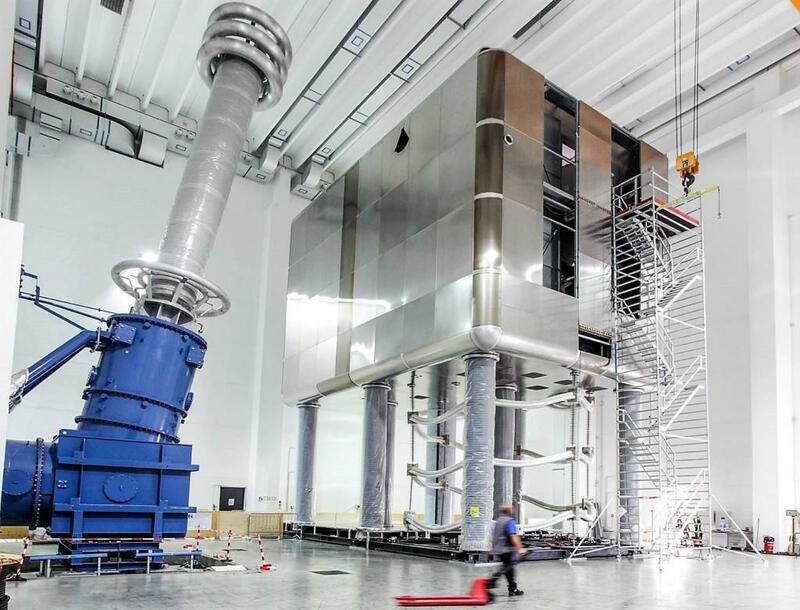 Pictured: the High Voltage Hall at the ITER Neutral Beam Test Facility. 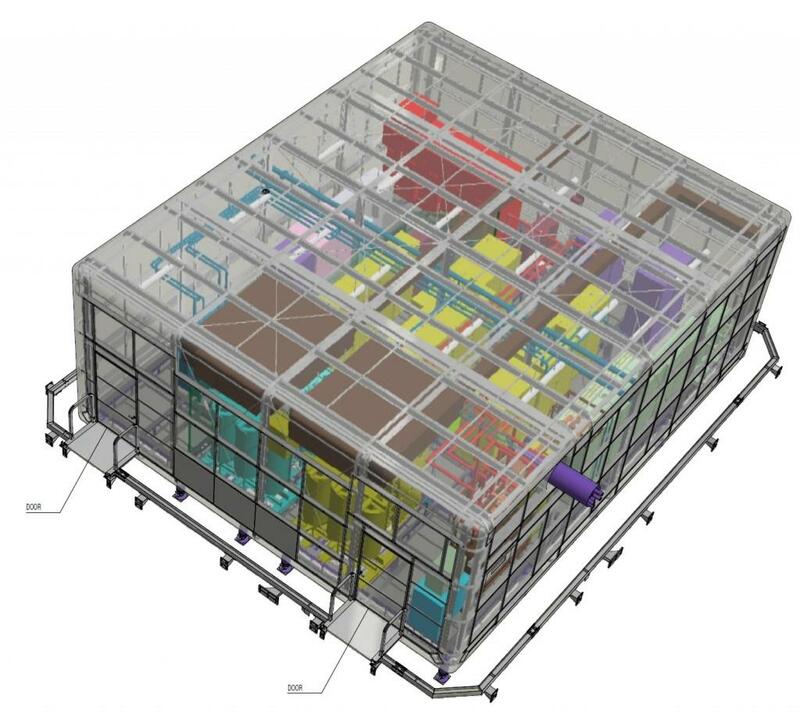 An exploded isometric view of the ITER/MITICA beam source, composed of a radio frequency ion source and a seven-grid extractor and accelerator. 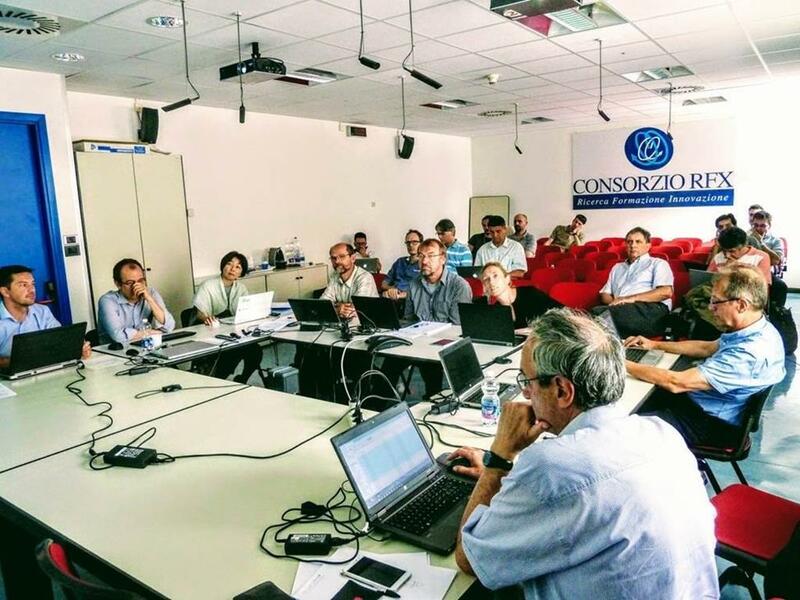 Regular technical collaboration meetings are held at Consorzio RFX on design, manufacturing, and installation issues, with representatives from the ITER Organization, the participating Domestic Agencies, and the host lab taking part. All of the critical heating neutral beam components will be tested at NBTF. 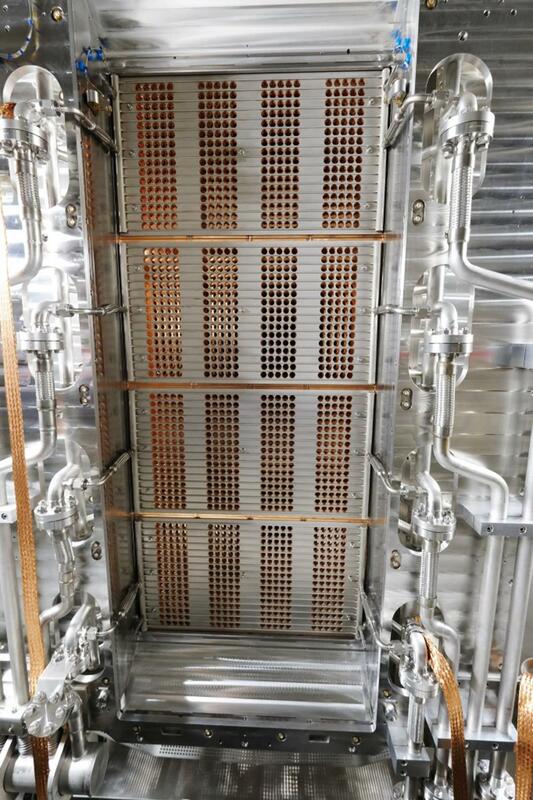 The power required for the operation of SPIDER will be provided in part by this room-size ion source extraction grid power supply provided by Europe. 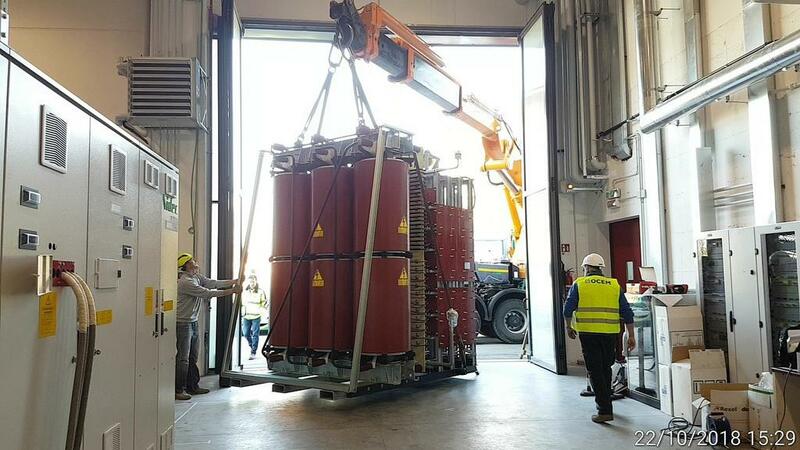 Nine trucks containing components for SPIDER's 100 kV power supply—transformers, switching modules, controllers, high-voltage racks, cables disconnector switches—are now en route to the port of Mundra, on India's west coast, for shipment to Italy. 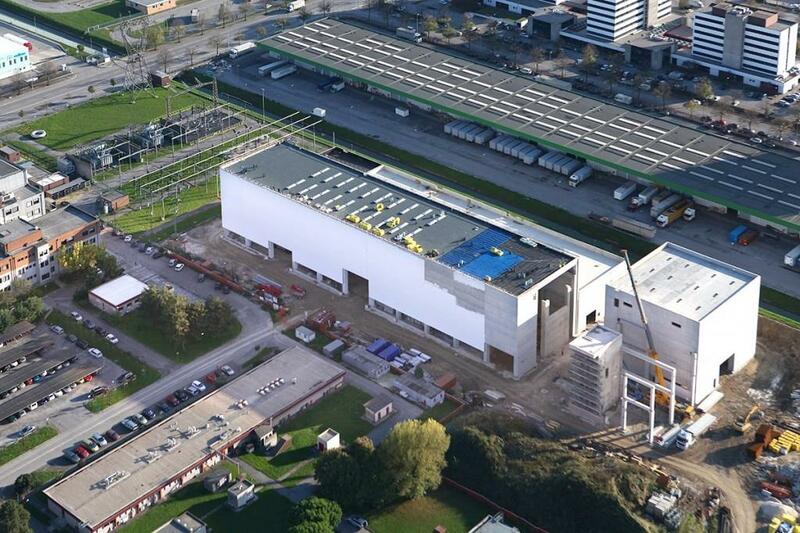 Work underway at Consorzio RFX to prepare the exterior areas for transformers and other electrical equipment. 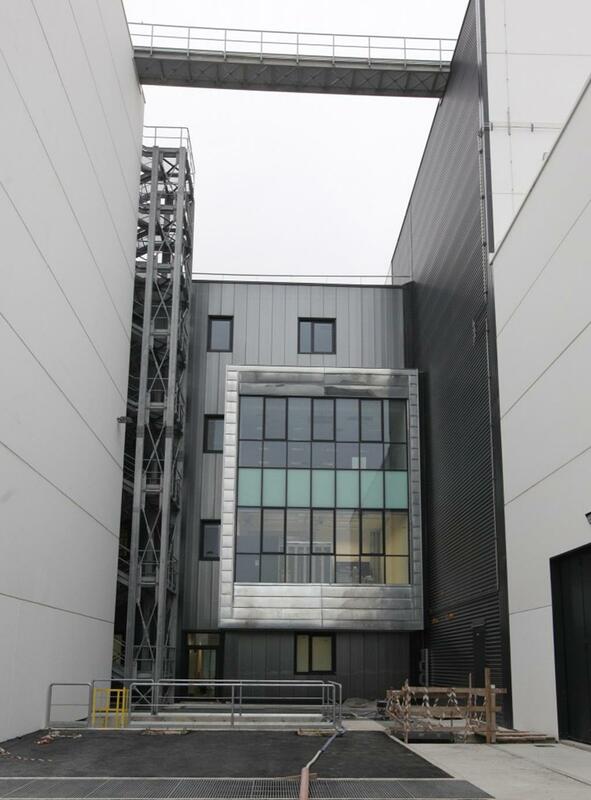 The main building of the NBTF facility is completed and ready for its first components. 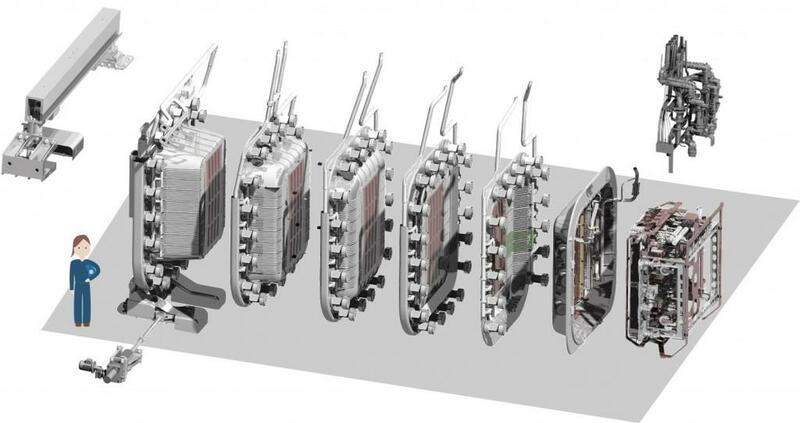 The Japanese Domestic Agency and its supplier have been able to design and fabricate an ultra-compact testing power supply, which will be used to test the neutral beam injection power supplies at NBTF, then at ITER. 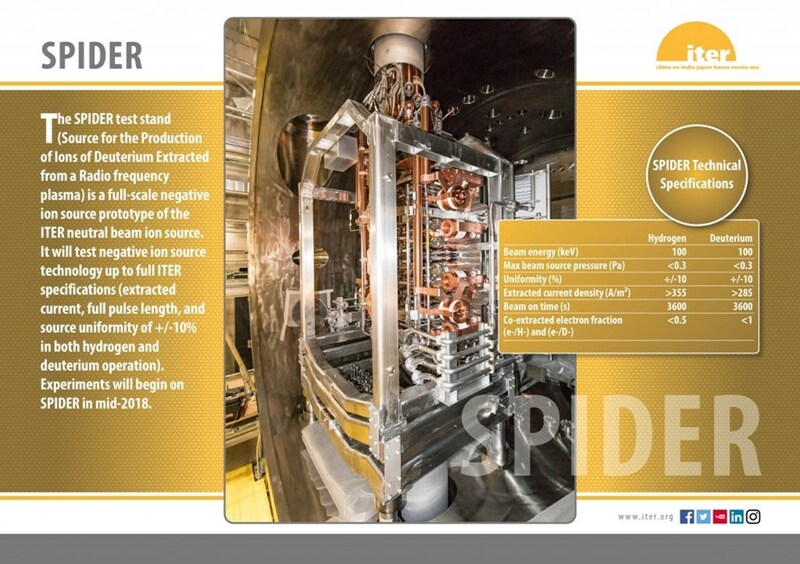 The SPIDER beam dump—designed to absorb the ion beam power up to 6.1 MW extracted from the SPIDER beam source—is the first component delivered by the Indian Domestic Agency. A schematic of the SPIDER power supply, describing the contributions of Europe (blue) and India (yellow). In August, the Indian Domestic Agency hosts the final design review for the acceleration grid power supplies for SPIDER. 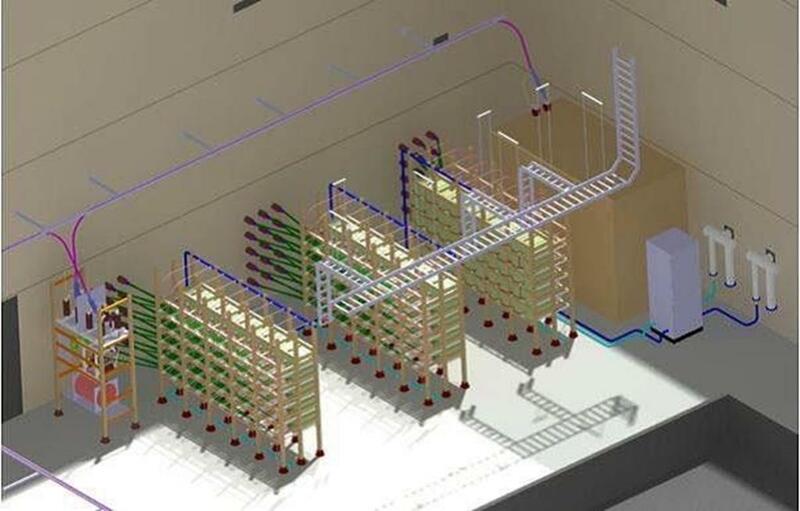 Pictured: a 3D view of the acceleration grid power supply hall at NBTF. 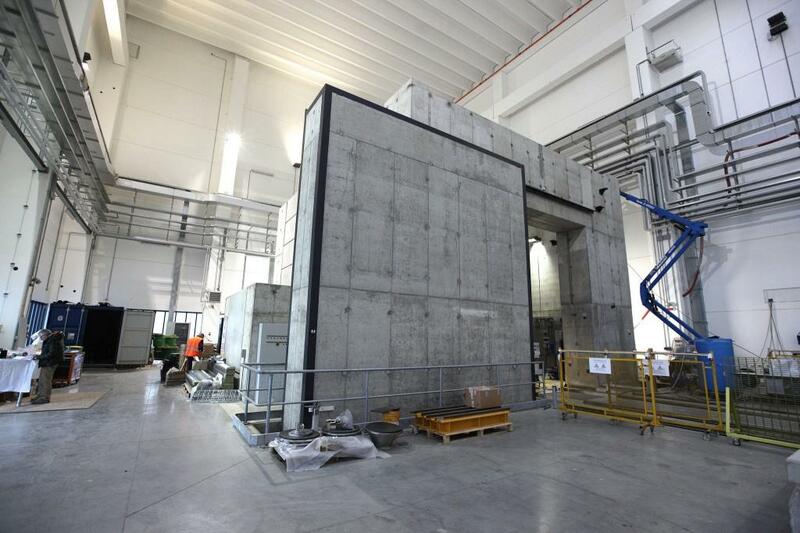 The NBTF facility is going up on the premises of Consorzio RFX, an Italian research laboratory for plasma physics and controlled nuclear fusion in Padua, Italy, about 40 km west of Venice. 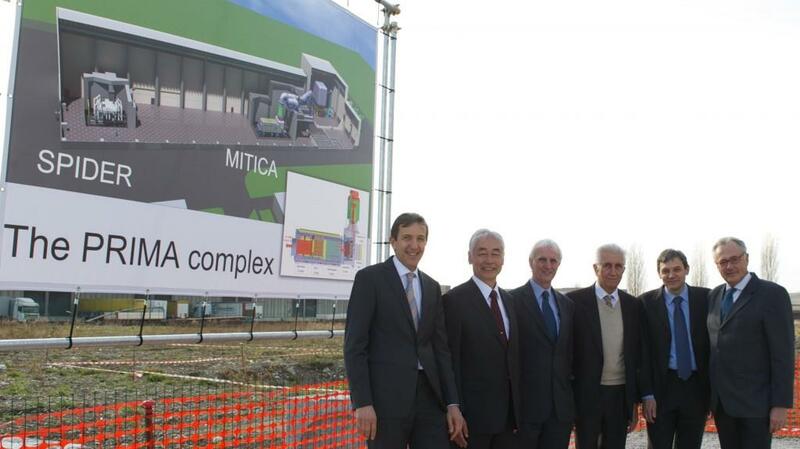 Ceremony participants stand on the site of the future 17,500 m² building, whose construction will be financed by the Italian government as a voluntary contribution to the neutral beam test facility. 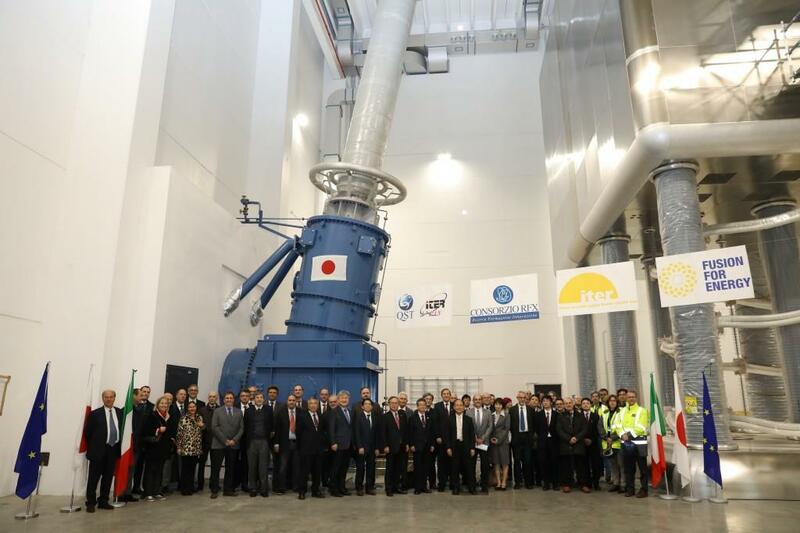 A ceremony was held in Padua, Italy, on 27 February 2012 for the launch of the ITER Neutral Beam Test Facility. SPIDER is the ITER-scale negative ion source. 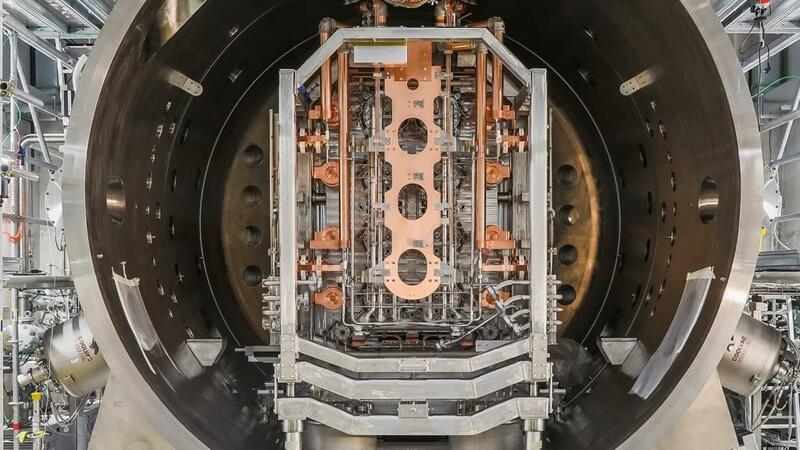 MITICA will test all of the integrated technologies of the injector (source, electrostatic accelerator, neutralizer, separator of residual ions, calorimeter, etc) with a 1 MeV line. 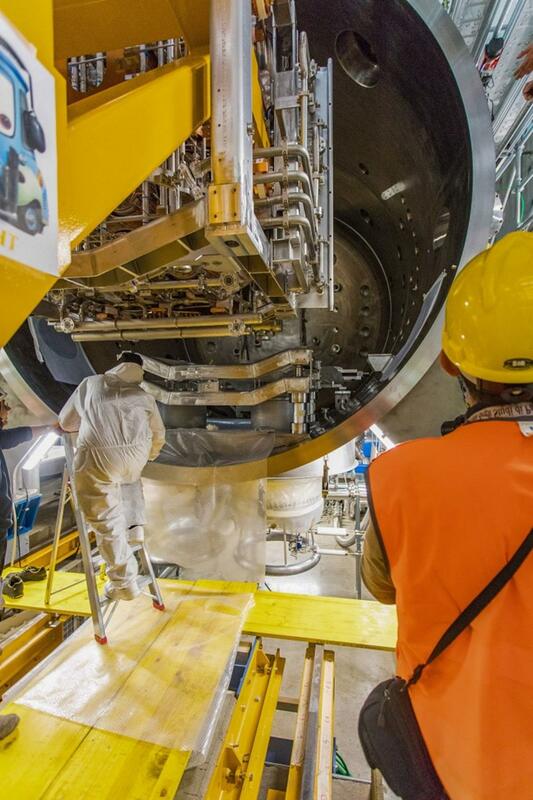 To heat the huge plasma volume in ITER (830 m³), the injected heating particles will have to move three times faster than in previous machines in order to penetrate into the centre of the plasma. 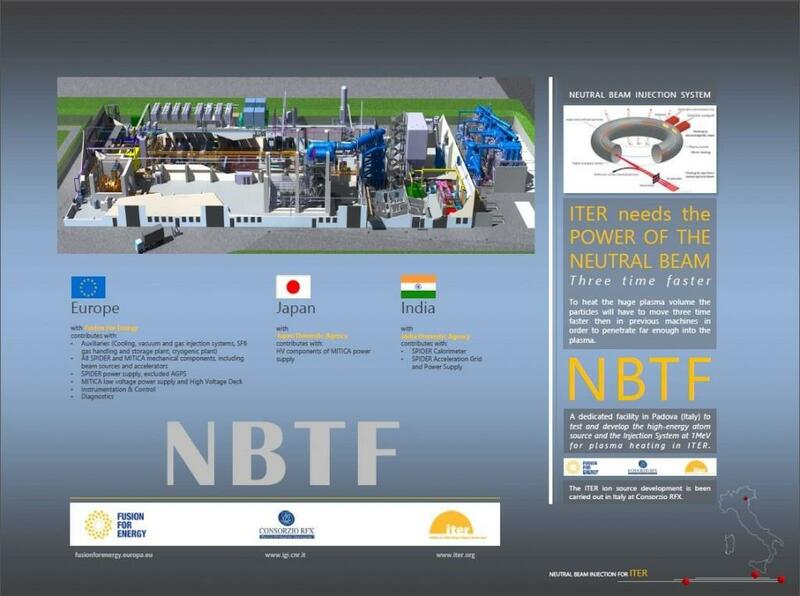 The technologies involved will be tested at NBTF in advance of ITER operation. The neutral beam injectors shoot uncharged high-energy particles into the plasma where, by way of collision, they transfer their energy to the plasma particles ... much in the same way that a household cappuccino machine uses steam to heat milk. 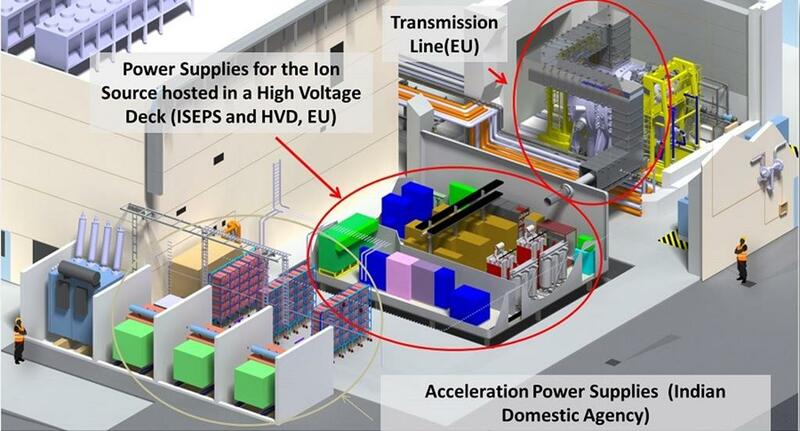 Left: the ITER machine. Right: a stick figure that gives a sense of scale. 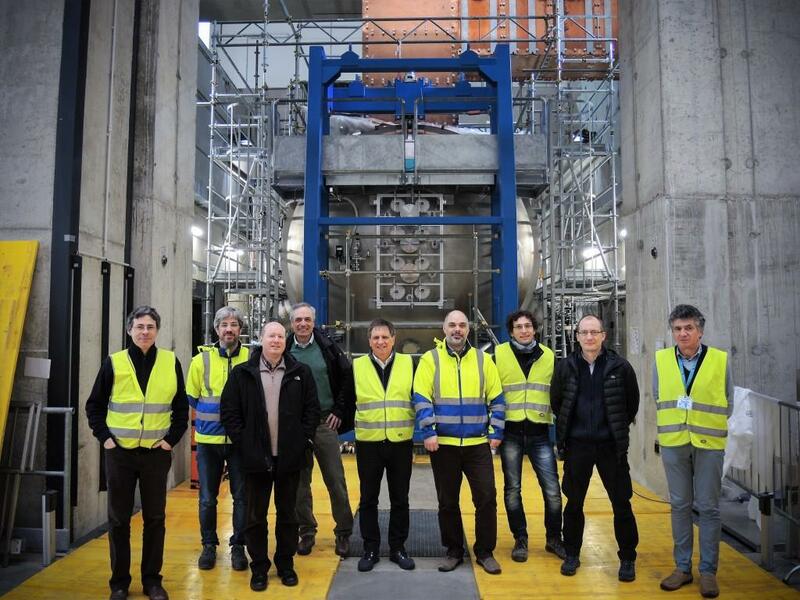 ITER's most powerful external heating system—neutral beam injection—will be tested in advance of operation at the Neutral Beam Test Facility (NBTF) in Padua, Italy. 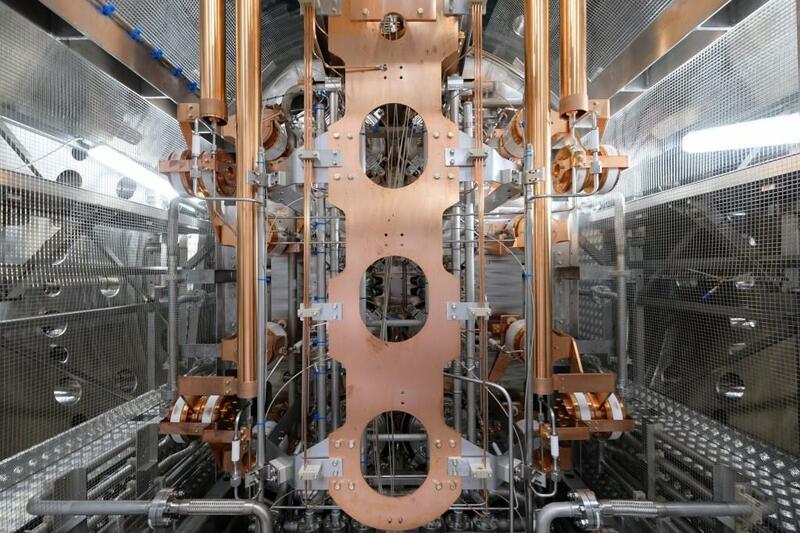 Although neutral beam injection is routinely used for plasma heating in fusion devices, the size of ITER imposes enhanced requirements: particle beams have to be much thicker, for example, and individual particles have to be much faster in order to travel far into the core of the plasma. 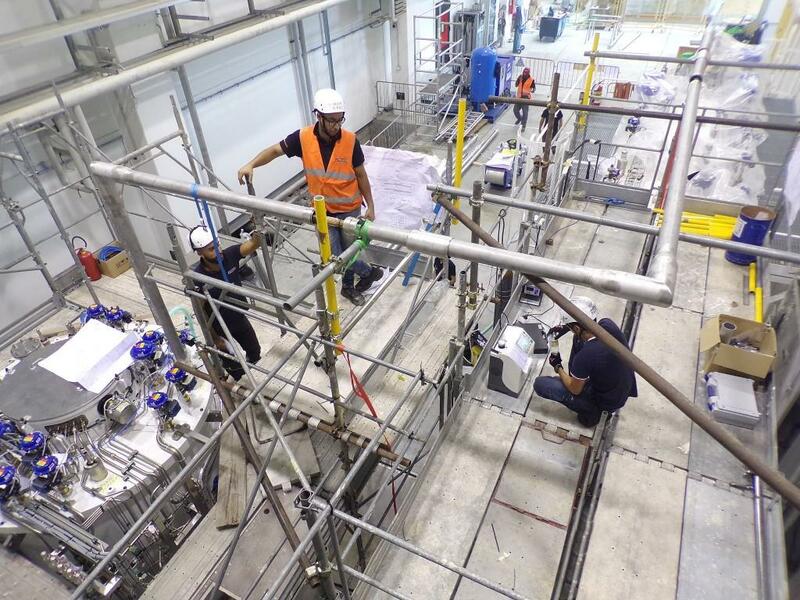 The Neutral Beam Test Facility will offer scientists the possibility to investigate challenging physics and technology issues and validate concepts before the neutral beam system is installed on ITER. Neutral beam injection relies on beams of high-speed, high-energy atoms that penetrate into the plasma, initiating collisions and transferring their energy. 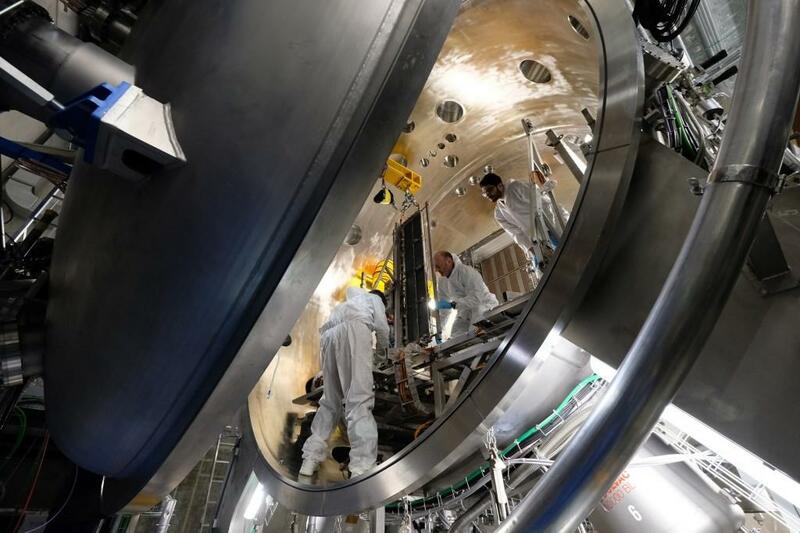 ITER will be equipped with two heating neutral beam injectors (with a provision of a third injector) and a neutral beam line for diagnostic purposes. The injectors will be capable of operating for up to 3600 seconds, each delivering deuterium beams of 16.5 MW with particle energies of 1 MeV. Their combined heating power—33 MW—represents over half of the external heating required by ITER. 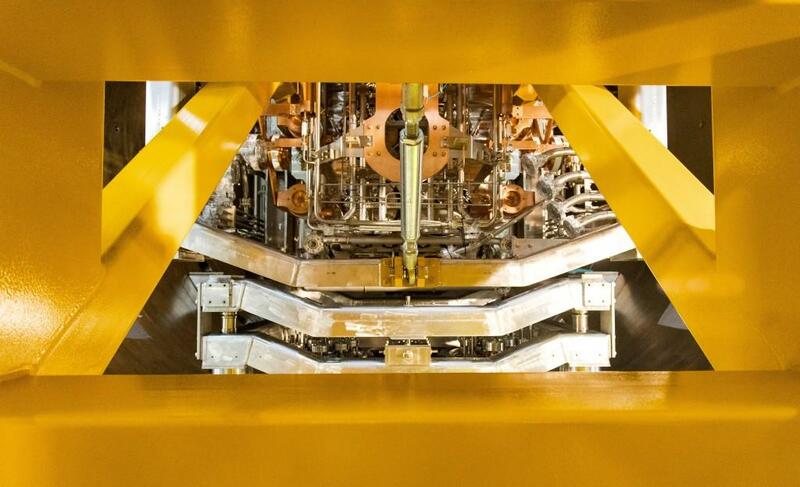 Neutral beams are formed through the acceleration and subsequent neutralization of ions—typically positive ions—but at ITER power levels and speeds the positive ions become difficult to neutralize. 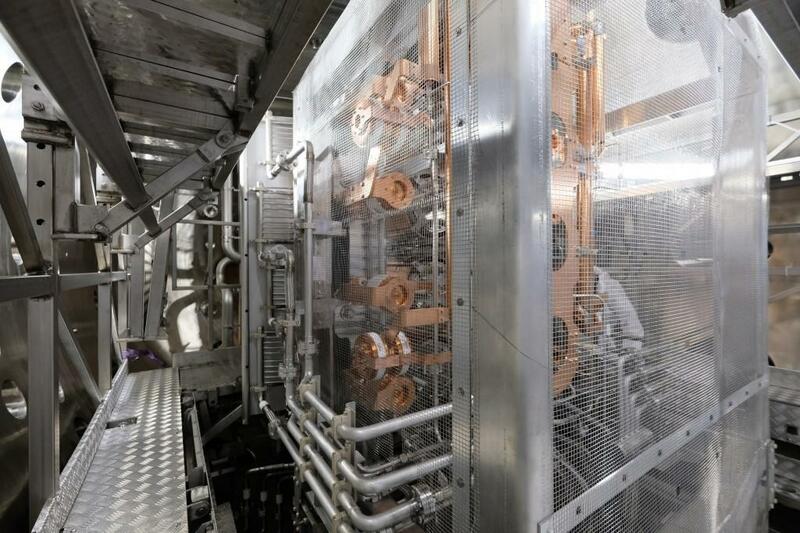 The negative ion technology chosen for ITER neutral beam injection offers much higher neutralization efficiency, however the negative ions are significantly harder to handle during production and acceleration. Developing diagnostics to monitor the source. 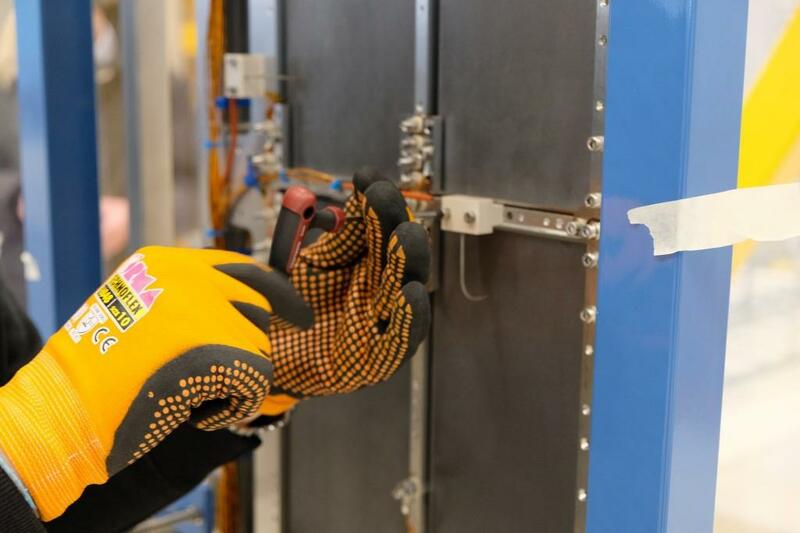 R&D programs in Japan and Europe have been instrumental over the last decade in helping to close the gap between current technology and what is needed for the ITER neutral beam program. 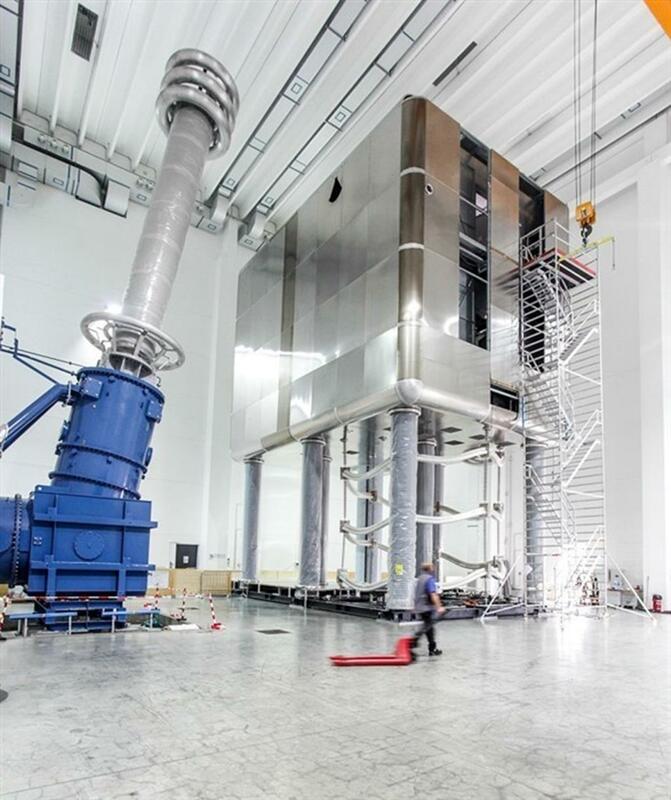 The ITER source is based on a radio-frequency-driven negative ion source that has been evolving over several generations of prototypes at the Max Planck Institute for Plasma Physics (IPP) in Garching, Germany. 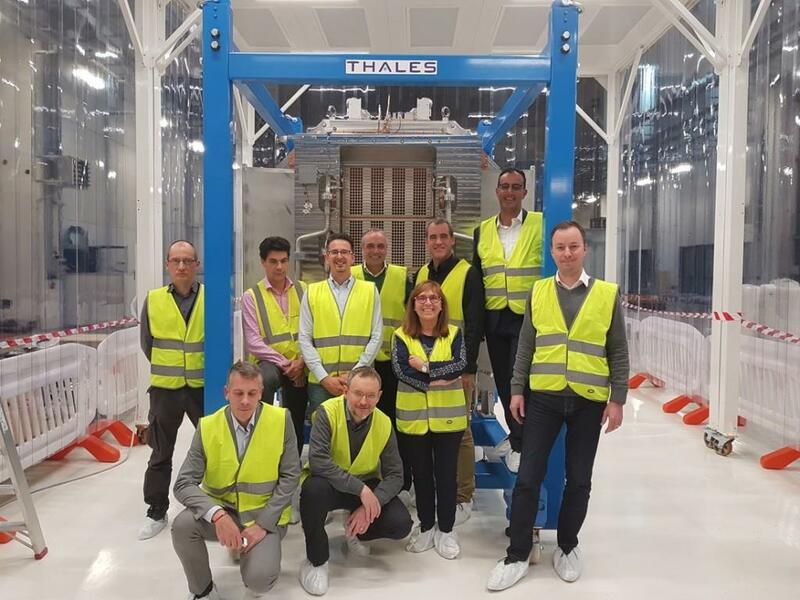 The next step is a facility that can achieve the challenging requirements for the ITER neutral beam system in terms of power, energy, and pulse length simultaneously. 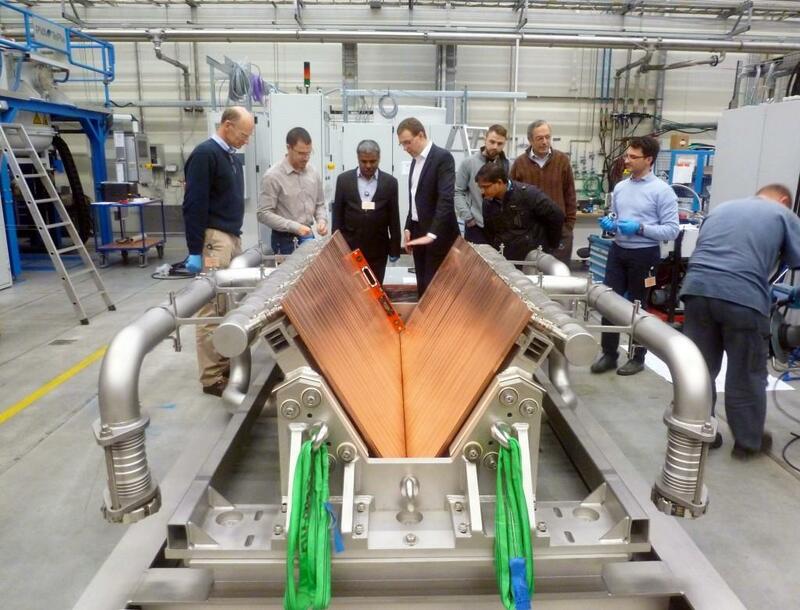 The Neutral Beam Test Facility—launched in 2012 after the approval of the ITER Council—has been strongly endorsed by the ITER Organization and the ITER parties involved in the development of the neutral beam injectors, namely Europe and Japan for the in-kind contribution of the heating neutral beam injectors, and India for the diagnostic neutral beam. 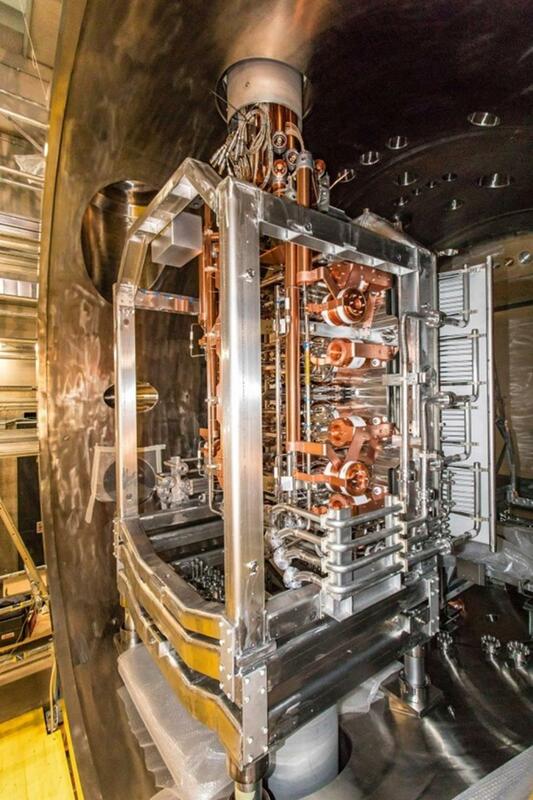 MITICA (Megavolt ITER Injector and Concept Advancement) is a full-size prototype of the 1 MV heating neutral beam injectors, capable of full acceleration voltage and power. 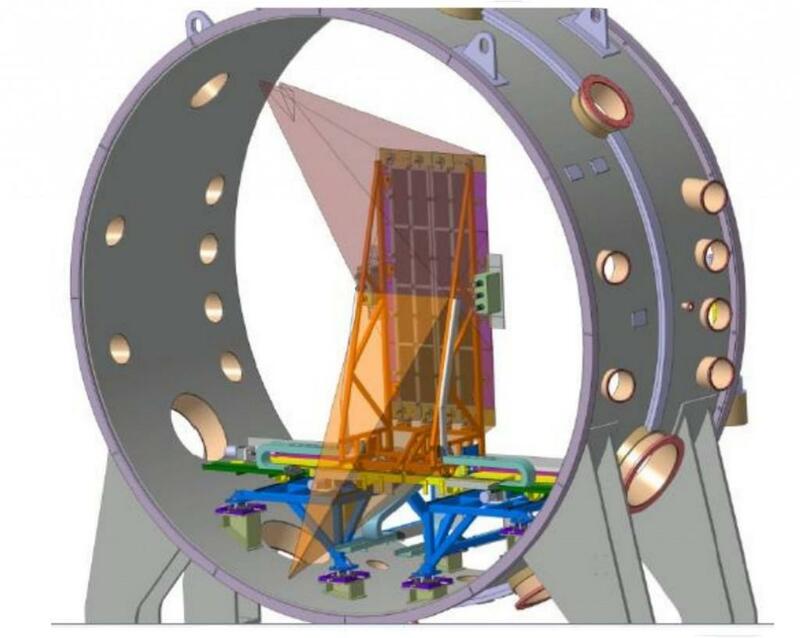 The components designed for the Neutral Beam Test Facility are the same components that ITER will be using on its heating neutral beams in ITER, which will allow the neutral beam teams to acquire valuable information about neutral beam manufacturability and operation. 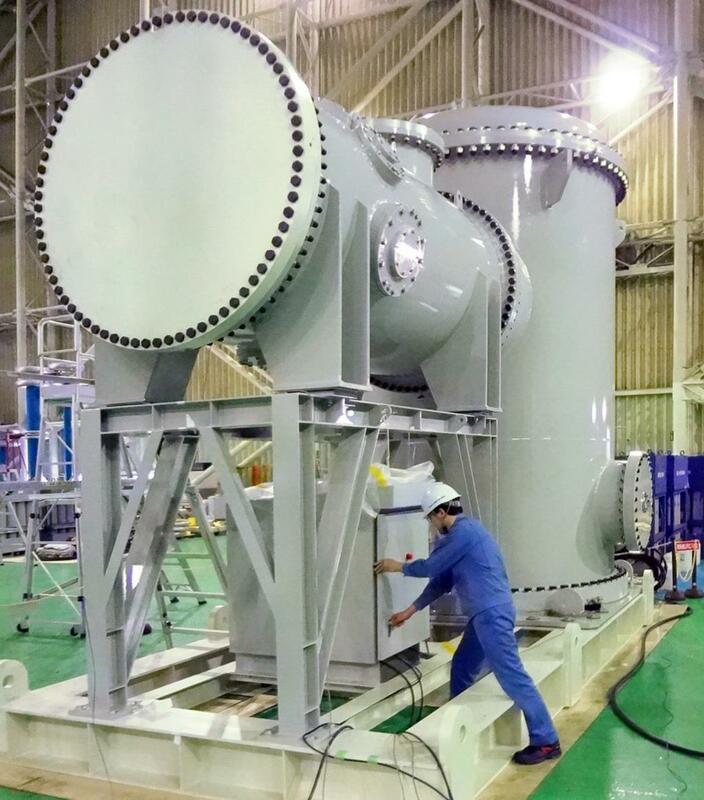 Japan is providing high voltage components for the 1 MV power supply system of MITICA (including the megavolt bushing, the megavolt transmission line and the high voltage part of the megavolt power supply). Italy is providing buildings, auxiliaries and the power grid. 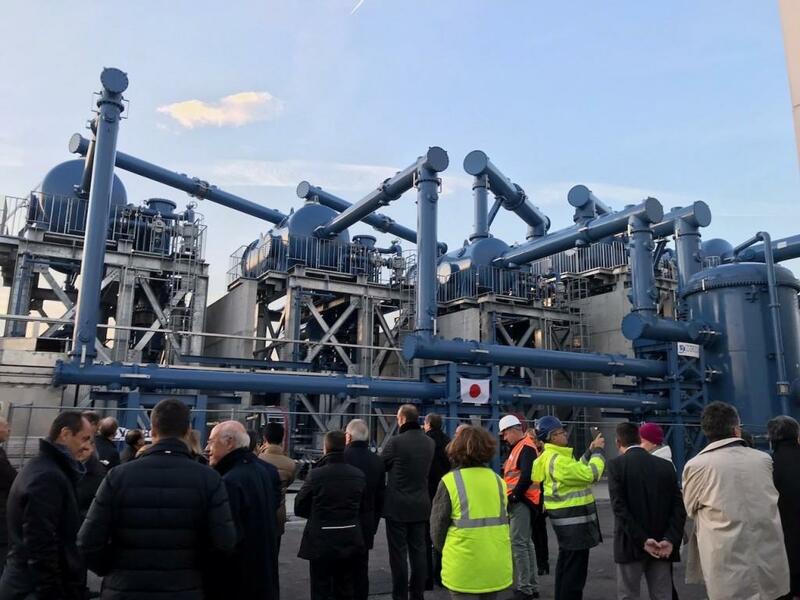 The Italian government has provided important financial support by building the facility on a two-hectare site at Consorzio RFX, an Italian research laboratory that has been investigating plasma physics and controlled nuclear fusion since 1996. 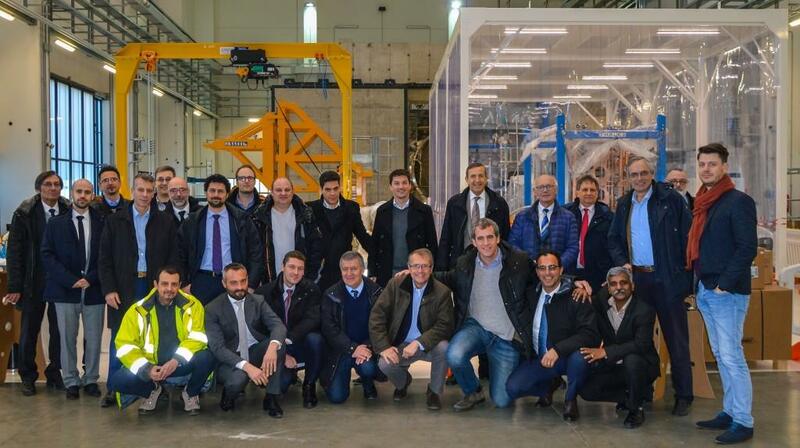 Consorzio RFX, as host, is providing expertise through a large contribution to manpower. 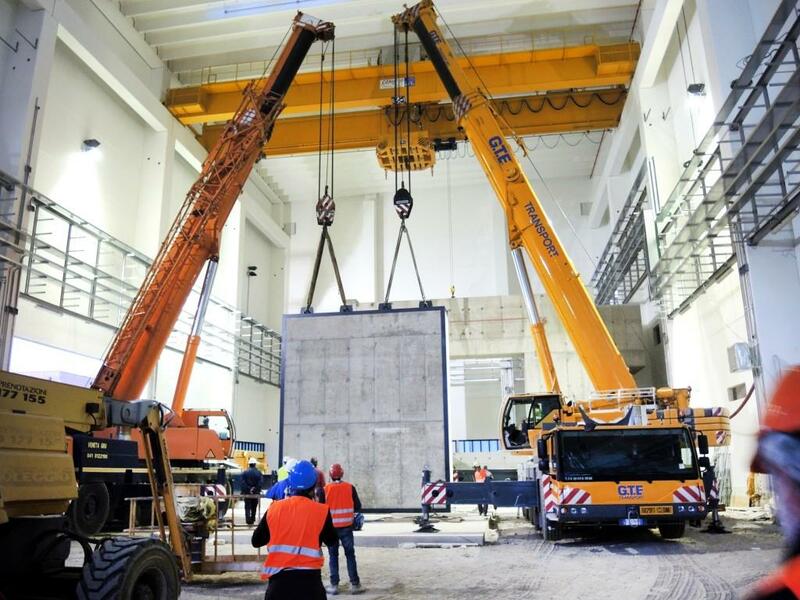 All contributions to the Neutral Beam Test Facility are voluntary (i.e., outside the scope of in-kind contributions to the ITER Project). 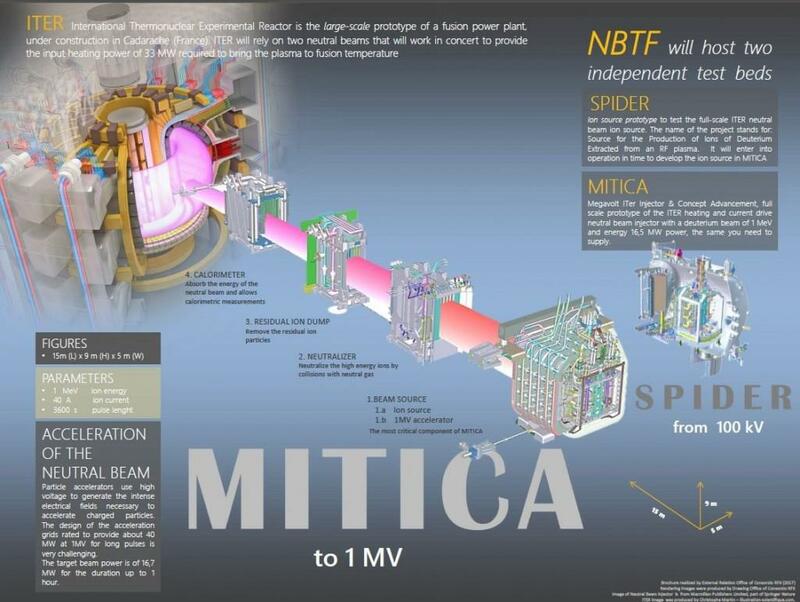 The schedule of planned experiments is strictly aligned with the general timeline of ITER so as to guarantee that sufficient experience on the operation of the prototype source (SPIDER) and of the full injector (MITICA) will be available before installation of the neutral beam system at ITER. The realization of the two test stands is proceeding in parallel at Consorzio RFX. SPIDER entered operation in June 2018. 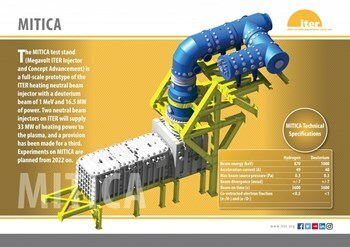 More on external heating at ITER here. Download a brochure on SPIDER here. 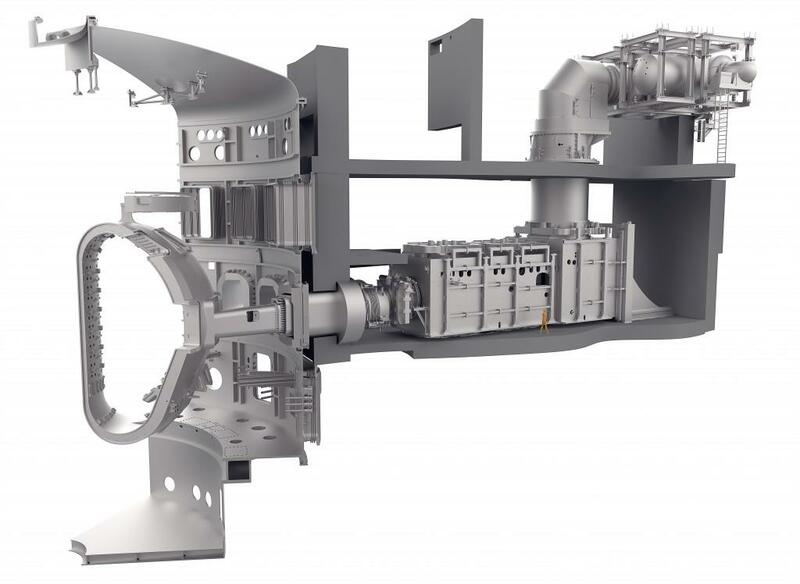 Purpose: A joint international effort to develop the neutral beam injector prototypes for ITER. 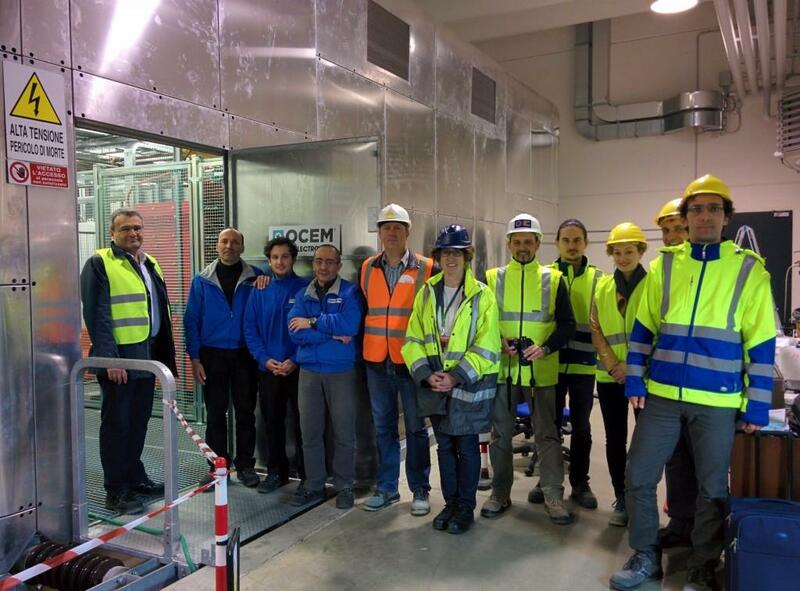 Funding (construction phase): The European Domestic Agency, the ITER Organization and Italy. The Domestic Agencies of Japan and India are contributing some components. 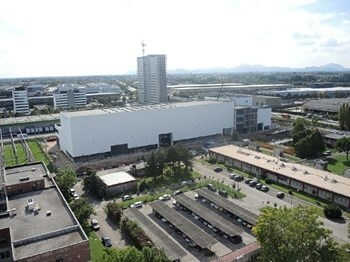 Construction timeline: Decision made by the ITER Council to build the facility (2010); construction begins at Consorzio RFX (2012); delivery of all buildings, including the 17,500 m² main building (2015); component installation underway. SPIDER timeline: Design of all components completed (2011); manufacturing of beam source (November 2012-November 2017); overall commissioning (March 2018); start of operation (June 2018). 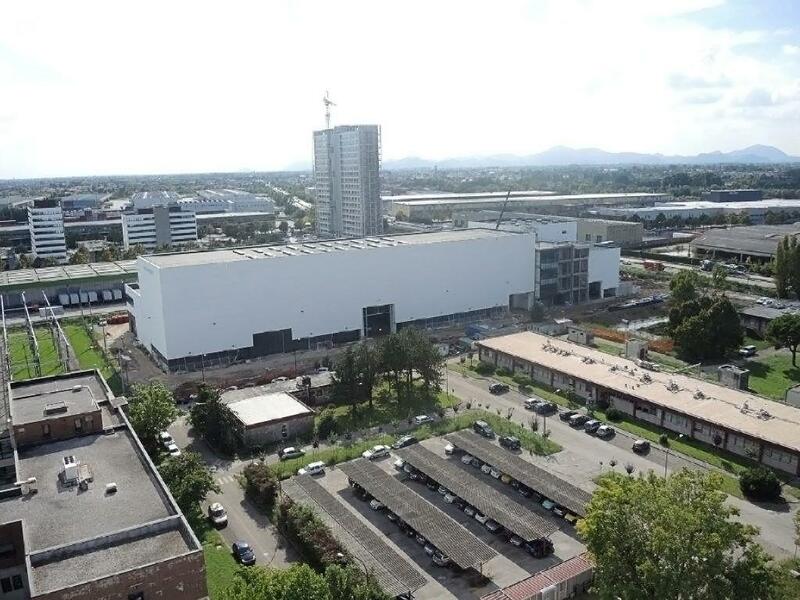 MITICA timeline: Design of all components concluded (early 2016); installation of power supply and tests completed (early 2018); manufacturing of beam source in Europe is about to start (mid 2018); experimental phase begins (2022 planned). Labs with a role in the neutral beam development program: Europe—the French Alternative Energies and Atomic Energy Commission (CEA); the Max Planck Institute of Plasma Physics (IPP); the Karlsruhe Institute of Technology (KIT); the Culham Centre for Fusion Energy (CCFE). Japan—National Institutes for Quantum and Radiological Science and Technology. 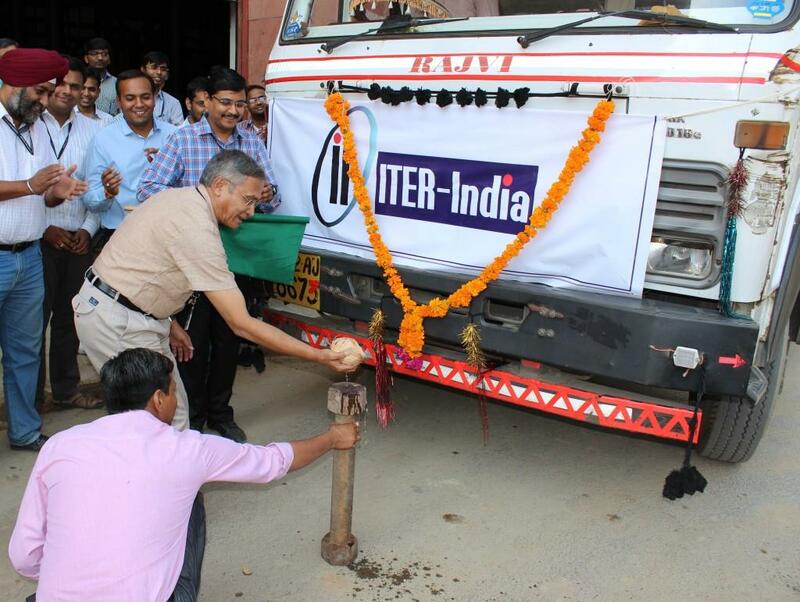 India—ITER-India, Institute for Plasma Research. 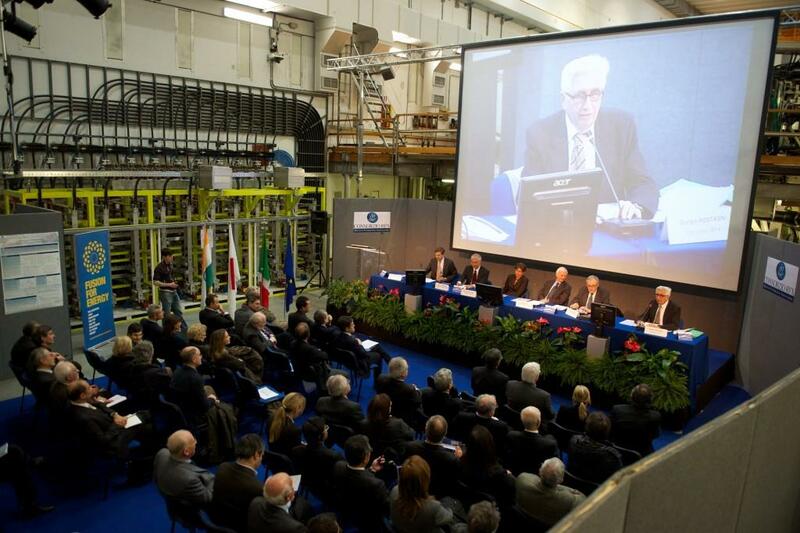 Consorzio RFX = A research organization promoted by ENEA (Italian National Agency for New Technologies, Energy and Sustainable Economic Development); CNR (National Research Council); INFN (National Institute for Nuclear Physics); University of Padova; and steel producer Acciaierie Venete SpA.